Heroin is derived from morphine and is an illegal drug. It belongs to a category of substances termed opiates that are prescribed to treat moderate to severe pain. The use of heroin can be highly-addictive. Heroin Overdose is the accidental or intentional intake of the drug in dosage higher than recommended. 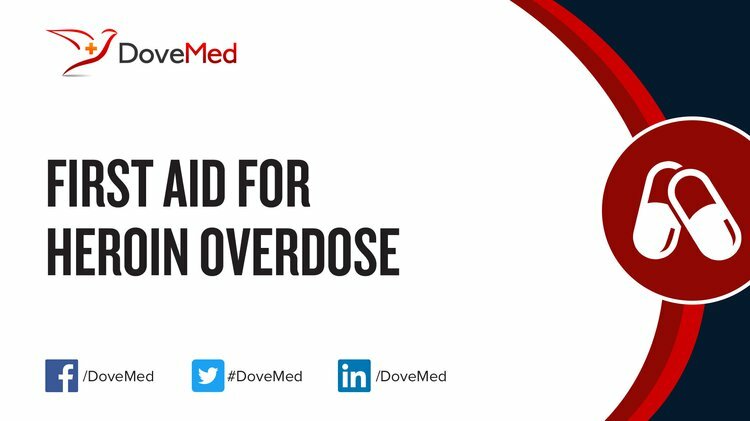 Heroin Overdose is the accidental or intentional intake of the drug in dosage higher than recommended. What are the Causes of Heroin Overdose? What are the Signs and Symptoms of Heroin Overdose? How is First Aid administered for Heroin Overdose? Heroin is often adulterated with other ingredients that can cause organ damage. So, treatment is typically administered as appropriate and symptomatically. Who should administer First Aid for Heroin Overdose? First aid for Heroin Overdose is administered by healthcare professionals. What is the Prognosis of Heroin Overdose? The prognosis of individuals with a Heroin Overdose is dependent on the amount of drug taken, time from overdose to treatment, severity of the symptoms, and general health status of individual who overdosed. How can Heroin Overdose be Prevented? Coffin, P. O., & Sullivan, S. D. (2013). Cost-Effectiveness of Distributing Naloxone to Heroin Users for Lay Overdose ReversalCost-Effectiveness of Distributing Naloxone for Heroin Overdose Reversal. Annals of internal medicine, 158(1), 1-9. Rudd, R. A., Paulozzi, L. J., Bauer, M. J., Burleson, R. W., Carlson, R. E., Dao, D., ... & Fondario, A. (2014). Increases in heroin overdose deaths—28 states, 2010 to 2012. MMWR Morb Mortal Wkly Rep, 63(39), 849-54. Schwartz, R. P., Gryczynski, J., O’Grady, K. E., Sharfstein, J. M., Warren, G., Olsen, Y., ... & Jaffe, J. H. (2013). Opioid agonist treatments and heroin overdose deaths in Baltimore, Maryland, 1995–2009. American journal of public health, 103(5), 917-922. Strang, J., Bird, S. M., & Parmar, M. K. (2013). Take-home emergency naloxone to prevent heroin overdose deaths after prison release: rationale and practicalities for the N-ALIVE randomized trial. Journal of Urban Health, 90(5), 983-996. Strang, J., Bird, S. M., Dietze, P., Gerra, G., & McLellan, A. T. (2014). Take-home emergency naloxone to prevent deaths from heroin overdose. BMJ: British Medical Journal, 349. Hedegaard, H., Chen, L. H., & Warner, M. (2015). Drug-poisoning deaths involving heroin: United States, 2000-2013. Dinis-Oliveira, R. J., Santos, A., & Magalhães, T. (2012). “Foam Cone” exuding from the mouth and nostrils following heroin overdose. Toxicology mechanisms and methods, 22(2), 159-160.